Latinx populations in the US are affected by the lack of culturally appropriate mental health services. Unfortunately, therapeutic services for Latinxs are at risk of being informed by universal approaches, which carry the risk of overlooking how various Latinx subgroups differ according to cultural values, contextual issues, historical immigration, and cultural identity issues. In this workshop, Dr. Parra-Cardona will present a theoretical framework useful to inform preventive and clinical interventions with Latinxs. The model is grounded in more than 12 years of prevention and clinical research aimed at ensuring culturally relevant clinical services for a variety of Latinx subpopulations (e.g., foreign-born, US-born, adolescents, couples, families). The workshop will have an important emphasis on highlighting how the model can be used as a guiding framework to inform culturally competent clinical interventions with Latinxs. 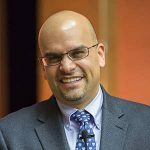 Ruben Parra-Cardona, PhD, is Associate Professor in the Steve Hicks School of Social Work (SHSSW) at the University of Texas at Austin. At SHSSW, Parra-Cardona serves as the Coordinator for Mexico and Latin American Initiatives. Parra-Cardona is also serving as Vice-President of the Family Process Institute.